In retrospect, the backstory behind this British progressive rock supergroup from the ’80s is fascinating. GTR was the collaboration of two great rock guitarists named Steve: Steve How from Yes and Asia, and Steve Hackett from Genesis. Also featuring singer Max Bacon, drummer Jonathan Mover, and bassist Phil Spalding, GTR really lived up to the hype and expectation with its self-titled debut from 1986. The record hit #11 on the Billboard album chart and scored a Top 20 hit with the now-classic anthemic rocker “When the Heart Rules the Mind.” And yet the momentum didn’t last long and GTR split up. Now the band’s sole studio album has been reissued as a two-disc set featuring the original record with bonus tracks and a live concert recorded in Los Angeles in July 1986. 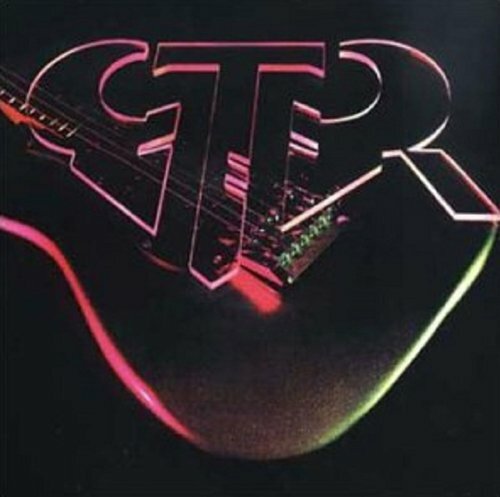 In retrospect, GTR is a good album as it follows a similar sonic template to 90125-era Yes and Asia (coincidentally GTR was produced by Asia’s Geoff Downes) showcasing both the progressive rock elements/instrumental chops that Hackett and Howe have been known for, but its also accessible enough for rock/pop airplay. Aside from “When the Heart Rules Mind,” there are some other standouts from the record: the underrated follow-up single “The Hunter,” the even more vastly under-appreciated “Here I Wait,” and the rocking album closer “Imagining.” Both Steves have solo instrumental spotlight tracks: Howe on the gentle “Sketches in the Sun,” and Hackett on the rocking “Hackett to Bits”—to hear the two trading off solos and riffs is still remains an awe-inspiring experience for the guitar fan three decades later; Mover and Spalding efforts are just as integral as is Bacon’s sweeping vocals. The live portion of the set also features some tracks that were not featured on the debut album such as “Prizefighters” and “Pennants,” as well as performances of songs from each of the Steves’ previous bands/solo projects (Howe with Yes’ “Roundabout,” Hackett with his own “Spectral Mornings” and Genesis’ “I Know What I Like (in Your Wardrobe”). The reissue makes a strong and worthy case for this band and record to deserve a second evaluation; it also leave you to wonder what might have been had the group got around to making a follow-up record.